Sometimes weeks, all I’m able to grab are these Five Minutes on Friday to link up with the community at Lisa-Jo’s place. Yesterday, my Baby Squishy Face turned three-years-old! We celebrated with chicken nugs, ziplines at the park, and ice cream! I’m so glad God gave me an Ezra! Love stories end with a first kiss, proposal or wedding. Babies are born in 30 minutes, and the new mom always look serene and beautiful. Drama creates intimacy and builds passion in a relationship. The tide always turns, the underdog always wins, the check always arrives on time. Real life is what happens beyond the first kiss, the ring slipped on a finger or the toss of a bouquet. When the shine comes off, the breath stinks, the legs go unshaved, the underwear is left on the floor and cupboard doors remain open. Pet peeves and personal quirks sting like mosquitos. At first you try to bat them away, but once you’ve been bitten you can’t help but scratch. Red bumps turn into open wounds and you have to learn to keep your hands off so that things can heal once again. Babies grow and develop for months inside. They come on their own timing and never as quickly as you want. It’s painful, raw, gut-wrenching reality. There is beauty; there is calm and joy and love. There is also blood, sweat, tears and a really worn out lady. Drama, left unchecked, will not result in intimacy, but rather in division and withdrawal. Life is about learning to be content in the calm, and discovering that adrenaline is fun, but will kill you if you maintain it at all times. Real life is learning that TV and the movies have it all wrong. We have it much better. I’m not quite sure where that came from. Haha! Maybe because I have been trying to live on adrenaline, and I’m now exhausted. That’s what I love about Five Minute Fridays…the unexpected. :) Thanks for your comment, Gidget! 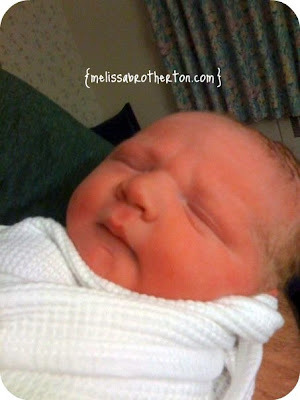 Oh, and I completely forgot to tell you congratulations on your little ones’ third birthday – what a cute baby picture! Great post, and so true! I love how you compared what they show in the movies to real life. Wonderful take on the prompt. Stopping by from The Gypsy Mama. Thanks, Shanyn! :) Hope you had a fantastic weekend! “When the shine comes off, the breath stinks, the legs go unshaved, the underwear is left on the floor and cupboard doors remain open.” – Yep, you hit the nail on the head. This is my real life too! Haha! Glad to know I’m not alone in this. :) Thanks for stopping by. Truth … now I feel better. We do have it much better. Yes — real life can be hard, raw, and stinky. But it is so much better! Happy Birthday to your little one! Celebrating with zip-lines at the park sounds like a great way to do real life. We had a great time! :) Thanks, Jamie. First, happy birthday to the little one. Second, I’d really like a TV or movie time in life for a little while. I’m tired of real life. Real life is so much better because it doesn’t require me to be perfect. I can’t sustain any level of faux perfection for more than 2 minutes. I prefer the real life, because then I feel truly loved, truly known and truly appreciated. Oh, yes, those movies have it all wrong! Who wants perfect when we can have real? I wonder if perfect would get boring? Hmm… :) Thanks for stopping by, Amy! I agree with Keri – It takes WAY too much work to have a perfect life. I discovered long ago that I’m happiest when I’m being my total and complete authentic self. It doesn’t mean everyone agrees with me – or even *gasp* likes me as a result – but – all I can be is ME. I like real life better anyway – with all its flaws and smells. And when real people like me for who I am – it’s worth it :) I’ve added you to me rss live feed featured on the right side of my blog page – but your website is not playing nice with mine and is not WORKING right! Anyway – I will keep trying! Us WestCoastNinja’s have to stick together! Yes, ma’am! Real life IS better – and so are we, once we realize that and embrace it. I love this post and this perspective! This is something I feel like you so “perfectly” portray through your blog, Mary. It’s so hard to keep trying to compete with what everyone around us tell us to be. I need to just focus on what God calls me to be…and that’s forgiven and forgiving. :) Glad to see your face here! “Real life is learning that TV and the movies have it all wrong. We have it much better.” Amen and amen!! Thanks, Lisa-Jo! :) I was so interested to see where the prompt took me this time. Ha! It’s always a guessing game. And happy belated birthday to Ezra! !